The Ancient Tantric Healing Methodology! Healing and health has been integral part of many Indian spiritual systems. Yoga and Tantra are the two systems which India has given to the world. While Yoga’s efficacy to health is a proven fact but the most effective and powerful ancient Tantric Healing system is still in the veils. Tantra as a discipline has been kept secret from common masses and rightly so because Tantric processes are so powerful that if they fall in wrong hands they can be misused and abused. It is only unconditional love of Tantric Masters, Ma Shakti Devpriya Anand Nath and ‘Shaakta Shri’ Acharya Agyaatadarshan Anand Nath which makes the 5D-Shakti Healing * being made available to the world to benefit from. 5D-Shakti Healing is purely a tantric approach to health and healing – presenting specific solutions and precise methods to alleviate disease, pain and suffering from human life within the framework of ‘Law of Karma’. 5D-Shakti Healing is India’s reply to Healing needs of the world. Tantra recognizes that a human being does not operate only on the plane of this body. A human soul is experiencing the pleasures and pains of this world through its 5 different sheaths it is covered – the Panchkoshas. It also understand that every human soul comes on this physical plane with a sole purpose of enjoying the fruits (whether sweet or bitter) of its ‘karmic’ baggage. Therefore if you are trying to reduce your bodily diseases and suffering through physically treating it through ‘Therapies’ and medicines you are still not attending to the root cause of it. Through such methods you can ‘treat’ yourself but you can’t ‘heal’. 5D-Shakti Healing is a TOTAL Healing system which works on the root-cause of your sufferings hidden deeper in koshas e.g. Mind body, Prana body, Karma body etc. 5DSH works on all the 5 layers of your being through appropriate methods. It works on your entire being making you healthy, peaceful, joyous, kind, loving, generous and truly ‘Living’ being! Tantra is a system of harnessing energies and intentions through exploration of inner and outer nature. The universe is storehouse of infinite variations of energy of Shakti manifestations from plants, animals, tattvas, sounds, celestial bodies. There are herbs, there are energy processes, stones, celestial energies and many hidden powers within human body. 5-D Shakti Healing experts use Tattvic Energies, Gems, Herbs, Yantras, symbols and certain mind-body processes. Apart from using just these tangible means a tantric healer is capable of channelizing the finer energies of higher realms for one’s good through the application of powerful Yantras, Mantras and secret energy processes within and outside human body. What is the effectiveness of Tantric healing processes? One must understand that tantra is not limited to chanting of mantras and making fire-sacrifices. It uses everything to trigger the hidden healing power in you. Every human being is born with it and tantric processes and methods make these healing powers available to you. Why Tantric Healing System is better than Yoga? Yoga uses only two tools – body and breath while Tantra makes use of multiple energy processes, herbs and also heavily works on harnessing divine energies. While Yoga is a step by step process Tantra is quite flexible and can also be used SOS treatment. The most important aspect of ‘Tantric healing’ is that it teaches the healer to differentiate between ‘Aadhi’ , ‘Vyaadhi’ and ‘Upaadhi’ and adopt suitable technique for healing rather than just be hooked on to medicines and bodywork. More often than not the suffering or disease is caused by external unknown (for normal people) forces which can be dealt with only through psychic means. Such paranormal influences can not be removed without use of ‘Tantric Healing’. Therefore 5D-Shakti Healing is far more effective and deeper in its understanding of suffering and also eradicating the physical/mental/spiritual suffering which Yoga is not capable of. Can I heal others with 5D-Shakti Healing? There are two learners’ level in 5-D Shakti Healing. This level which is offered to Tattva Shakti Vigyaan – pratham koti practitioners, trains them in understanding and experimenting with the ‘Tantric Healing Essentials’. During this phase of learning which usually lasts from 6 months to 2 years (depending on your sincerity and regularity) the 5D-Healer is not supposed to heal others. However once they become proficient in the ‘Tantric Energy processes’ and develop sound understanding of ‘Mantric Energy Processes’ they can choose to go for higher i.e. second level of “5D-Shakti Healing’ after which they can definitely offer their healing services to others. Yes! A good healer is one who is able to identify the influencing negative energies and entities but a powerful healer is one who has strength and capacity to deal with these dreaded energies and ward them off. 5-D Shakti Healing gives the practitioner such powers that he can handle virtually every negative influence of this planet. This capacity is earned with healer’s discipline, devotion to the nature’s benign energies and through the mastery of tantric processes. Although a beginner is not advised to engage in such cases for he/she may get harmed but as one progresses under the guidance of Masters one take up paranormal influences head on and knock them off too. Why ‘5D-Shakti Healing’ course is available ONLY to TSV practitioners? To be able to understand and appreciate this condition one must have to be a Tattva Shakti Vigyaan practitioner oneself because Tattva Shakti Vigyaan (TSV) is in fact a tantric discipline. Getting initiated in Tattva Shakti Vigyaan means you are having knowledge of ‘Human Energy Anatomy’. It also means that you have direct experience of working with the energies of ‘Tattvas’, Symbols and Mantra. 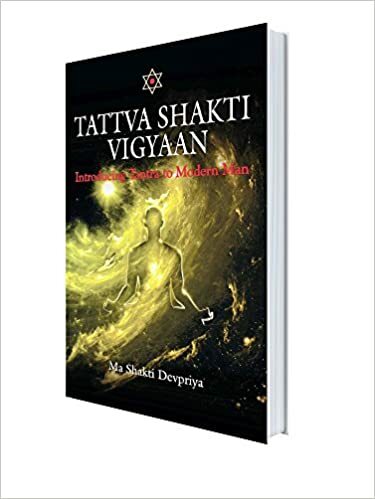 Since Tattva Shakti Vigyaan is a tantric spiritual discipline it also readies the practitioner to be able to handle various aspects of ‘Body Centric’ healing processes which are essential part of 5-D Shakti Healing. Further Tattvic purification and protection of Gurumandala which is available to a Tattva Shakti Vigyaan practitioner enables him/her to fearlessly experiment and benefit from higher energies. The Gurumandala’s presence also ensures that the healer shall not be endangered in case he/she is dealing with paranormal causes. Can I charge for Healing I offer? One rule which everyone should know that – A healer should never charge for his abilities! Yet he/she is eligible to ask for something in return for his time! The prime motive for offering healing to a suffering person is ‘alleviation of suffering, disease and pain’ never the money. So a ‘5D-Shakti Healing’ practitioner shall always be available for healing even if the person affected is not capable of making any monetary remuneration for his/her services. In such a cases a token dakshina should be gladly accepted by you. Tantric Masters teach us that we owe responsibility for our fellow travelers and thus we should act with a sense of responsibility rather than greed or intention of accumulating wealth. This is a approximately 3 days of continuous learning. This programme shall be offered either in residential setting or in workshop mode where participants have to report for the programme days in the morning from their respective places. If you aren’t sure about your candidature you are advised to mail/whatsapp to Guruma Shakti Devpriya ji to ascertain that. Health is the highest of luxuries in human life. Without health life becomes a burden unto itself. If you are suffering from any ailment or feeling discomfort in your body you can NOT and should not ignore it. Tantra says every human being has a right to a fulfilled life where there are no traces of pain, misery and suffering. * Only TATTVA SHAKTI VIGYAAN practitioners may apply!